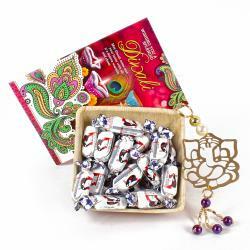 Product Consists : Imported Toblerone Minature Chocolate Pack (Weight : 200 gms) along with Diwali Card and 2 pcs of Earthen Diyas. 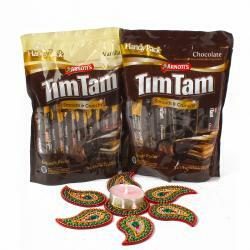 We bring to you an incredible Chocolate gift hamper so that you can send your good wishes and blessings to your loved ones in a beautiful way. The assortments we choose for this hamper are thoughtfully picked and put together to let its receiver experience true delight. 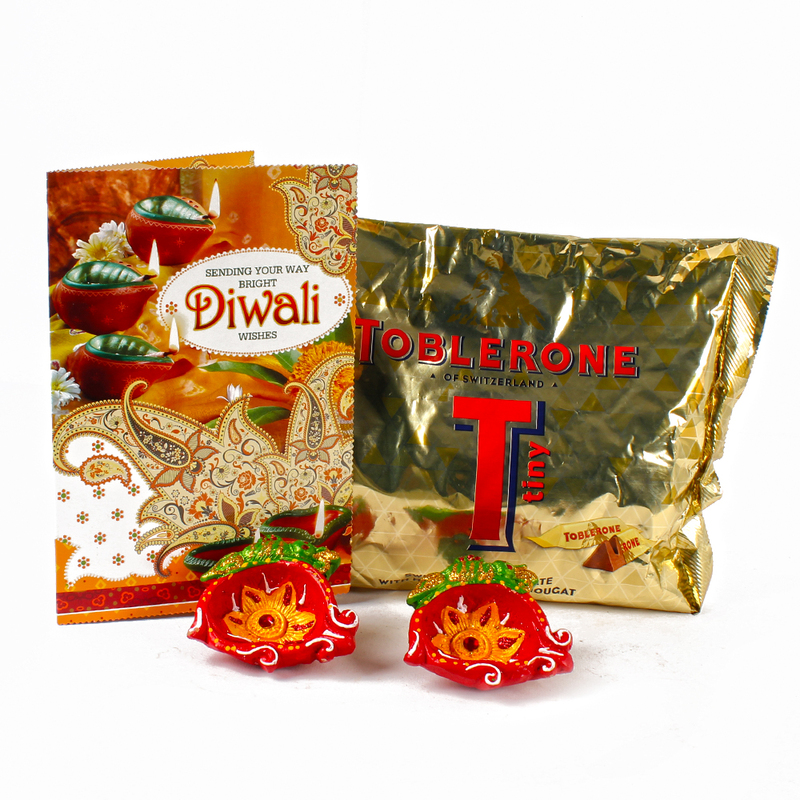 Indulge yourself in the blissful taste of Imported Toblerone Minature Chocolates along with 2 pcs Earthen Diyas and Diwali Greeting Card. 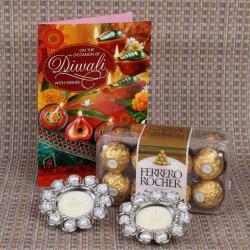 Let us celebrate the splendid occasion of Diwali sending this admirable chocolate hamper to our closed ones. 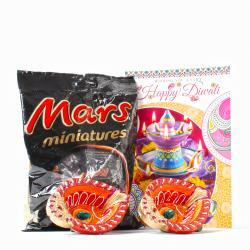 Product contains : Imported Toblerone Minature Chocolate Pack (Weight : 200 gms) along with Diwali Card and 2 pcs of Earthen Diyas.